© Steven Fowler. All rights reserved. 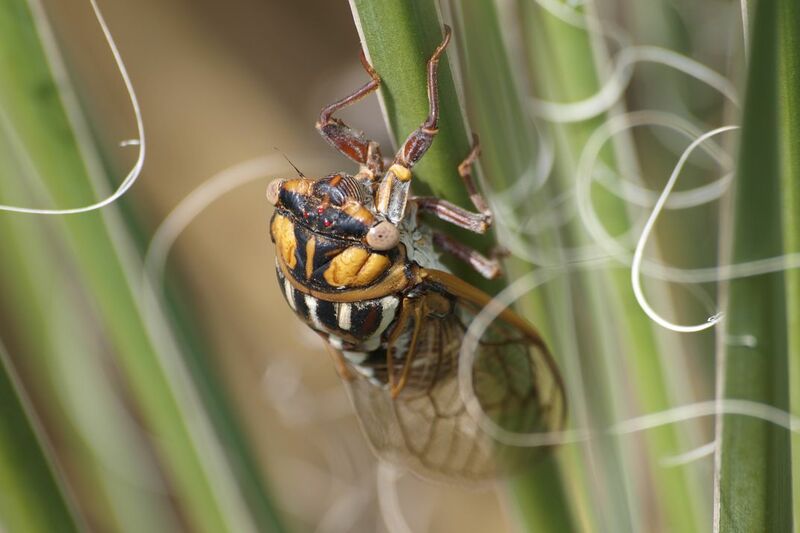 Cicada on yucca in Halsey national forest in the state of Nebraska. The strings of the yucca give it a glamorous surrounding. This photo shows how beautiful all insects are when seen in macro. Date Uploaded: April 15, 2015, 9:23 p.m.